Sand bags and safetyWhile residents are hoping for the best, Tahoe-Truckee officials are preparing for the worst.Click here to read more and find several sand bag locations throughout North Tahoe-Truckee. LAKE TAHOE — As the region braces for a weekend storm that is forecasted to bring up to 12 inches of rain on top of snow, local weather officials are reminded of the disastrous winter floods of 1997 and 2005. The National Weather Service (NWS) in Reno has issued a flood watch from Saturday night through Monday morning for the region. Brian Brong, a NWS meteorologist, said this weekend’s extreme rainfall could be on par with the 2005 flood that hit the region, but is not likely to do the harm of the 1997 flood that caused an estimated $91 million in damages to Placer and El Dorado counties. Brong said the difference is that leading up to the January 1997 flood, Lake Tahoe was almost completely full and there was significant snowpack on the ground. 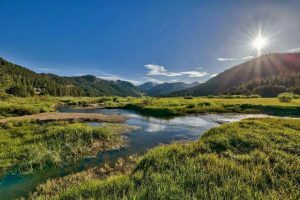 Toward the end of December 1996, several large storms produced a heavy snowpack in the higher altitudes of the Sierra Nevada — more than 180 percent of the normal snowfall for that time, according to Daniel Greenlee of the Natural Resource Conservation Service. Then, a subtropical storm from the Pacific Ocean brought heavy rainfall from Dec. 30, 1996 to Jan. 3, 1997, significantly melting the snowpack and causing Lake Tahoe to rise more than a foot to 6,229.4 feet — well above the lake’s natural rim of 6,223 feet and over the Tahoe City dam’s legal limit of 6,229.1 feet. 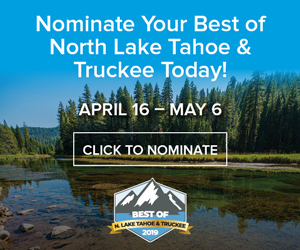 Consequently, the federal watermaster was forced to open all 17 gates in the Tahoe dam, inundating the Truckee River and causing extreme infrastructure damages. Though the 2005 storm did generate the worst flooding in the region since 1997 and cause millions of dollars in damage, with less snowpack and more room in the lake, the 12-inch rise in the lake level only brought the water up to 6,225.6 feet. 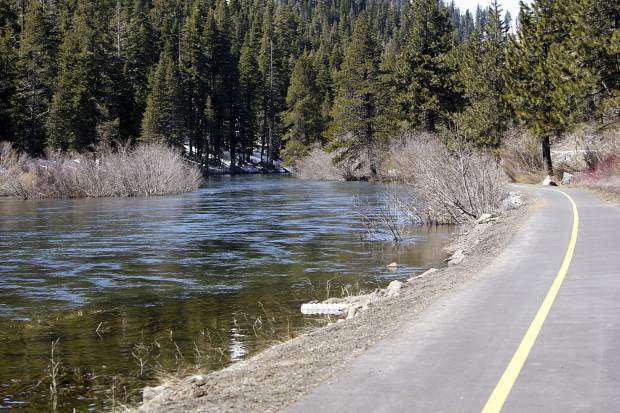 In 1997, the Truckee River height gauge reached almost 10 feet, while in 2005 it was more like 7 feet, though both storms produced roughly the same amount of rain — 12 to 15 inches, said Brong. Similar to 2005, this year there is space in the lake, which as of Friday, Jan. 6, has a water level of 6,223.67 feet. Brong said that this storm will likely bring less precipitation than the storms of 1997 and 2005, but flood impacts are foreseeable. “It will start as snow on Saturday, and will be raining most of the day Sunday and pretty much all of Sunday night — that’s when the worst part of the storm is going to be, and that’s when we expect to see some flood impacts start,” noted Brong. 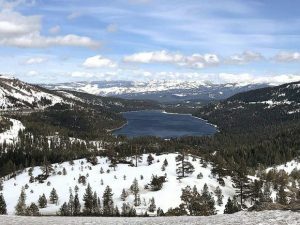 One to 2 feet of snow could fall on Saturday at lake level, with higher accumulation expected above 7,000 feet, and above 8,000-8,500 feet on Sunday as temperatures warm at lower elevations.